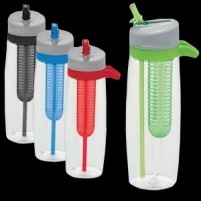 Custom printed drink bottles, everyone has one somewhere in the house or the office. Metal hiker bottles offer a premium corporate gift for staff or clients. 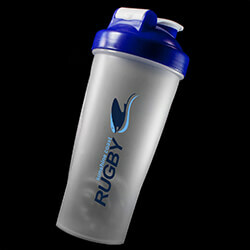 And our plastic 750ml bottle is awesome for sports teams, clubs and non profit organisations. Give them out for awareness or sell them to raise money. They are still one of the most popular promotional items in the world. We offer highly competitive rates and a free graphic design service that rivals most high end marketing studios. Talk to us today, we promise you won't be disappointed. When you are setting up a new marketing campaign, it's critical that you know and understand your target customers. However, some target niches are admittedly easier to connect with. In particular, we've found that sport and outdoor enthusiasts are ripe for corporate courtship. 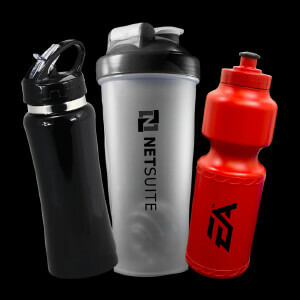 That's why we added a variety of sporty drink bottles to our roster of promotional products. Once you have identified a dynamic niche such as ‘outdoor enthusiasts’ as a target, you have to create opportunities to reach out to them. This is, perhaps, one of the most rewarding aspects of targeting sport enthusiasts and outdoor lovers. They’re constantly planning and hosting major events that you can appear at, sponsor and otherwise get involved with. These produce fantastic opportunities to drum up new business! Just think about all of the cycling competitions, walking festivals, angling tournaments, triathlons and mini-marathons staged around the country on an almost daily basis. And that’s barely even scratching the surface. Once you factor in the thousands of community sports teams, exercise classes and outdoor clubs in operation, your company could well end up with more potential customers on your hands than it knows what to do with. But knowing where your customers spend their free time is only half the battle. How do you actually reach out to them? This is where Dynamic Gift’s range of branded gifts and products come into play. Sport enthusiasts and outdoor activity fanatics have to do a lot more re-hydrating than the average consumer. In fact, many of them are likely to have extra hiker bottles stashed in their cars, offices, messenger bags and just about anywhere else they might need them. 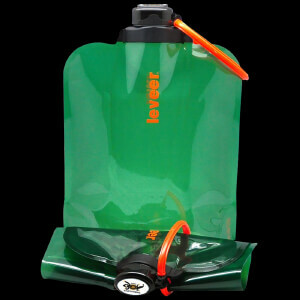 For a highly active person, a durable water container is a highly practical accessory. In recent years, there has been a consolidated push in Australia to encourage greener, more environmentally friendly consumer habits. There’s a good chance that your target customers feel a twinge of guilt every time they buy a plastic bottle of water from the convenience store. Of course, if you were able to equip them with a re-usable container that fits into their active lifestyle, they wouldn’t have to keep throwing away their disposables. 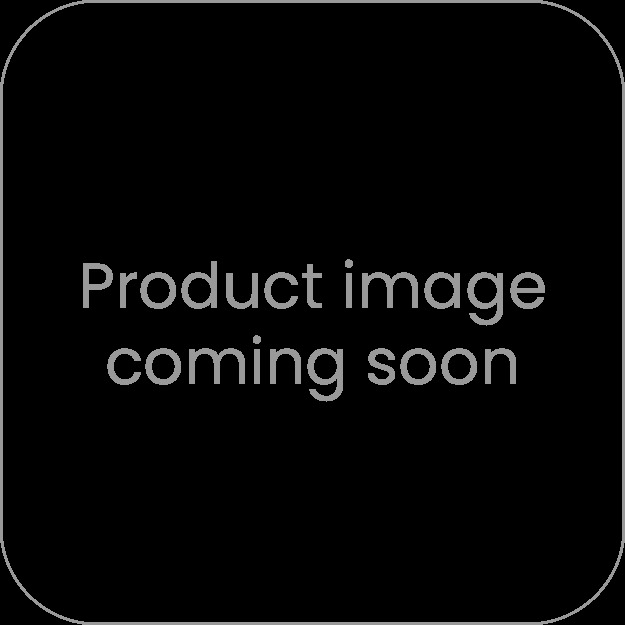 We offer a big range of BPA free bottles and our full range of promotional water bottles manufactured from tritan material are designed with health and welbeing in mind. 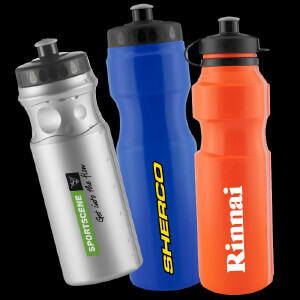 Sporting clubs may prefer our standard 750ml promotional drink bottles which are also manufactured from chemical and bisphenal free materials. 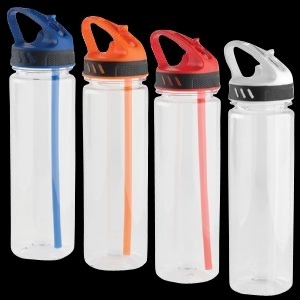 A lot of our double wall type bottles and thermo bottles feature BPA free materials too. These can all be branded with single, multi or full colour branding. You’ll be amazed at the results your company can enjoy from targeting highly active consumer groups. Regardless of what activities they engage in to get their heart rate up, they’ll need plenty of water to their bodies in optimal shape. 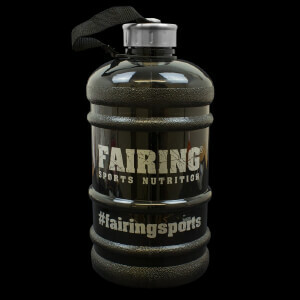 By ordering sports bottles that are printed with your logo and a succinct marketing message, you’re all but guaranteeing that your company is going to enjoy plenty of on-air time with a niche that’s already interested in its products and services. Dynamic Gift manufacture a diverse range of these products—from wholesale orders of moulded plastic models that can be re-used multiple times, to durable custom containers that can clipped to a backpack and used for weeks in the wilderness. These provide an unrivaled opportunity to promote your brand. Plastic Bottles Not Your Thing, Looking For Something Special? 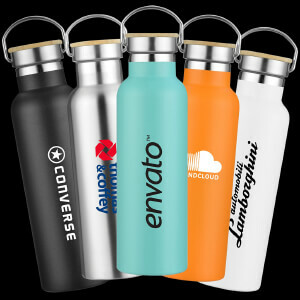 If plastic drink bottles are not up your ally then your corporate logo may be suited to a travel mug or even a metal drink bottle with laser engraving of your logo. Browse our full range of bottles and request a quote from our friendly sales team. We are always happy to recommend various options on our quality products. From different colours to selecting the right screw top, we can assist with your order from start to finish! Try Our 100% Free design service. Our range of bottles is matched with our 100% free artwork services, yes our team of qualified graphic designers actually mock up a preview of your printed drink bottles and show you a preview prior to production, if your not in love with the design we can revise until you are 100% happy to proceed with printing. We can even display two or three different styles in a mockup so you can compare your favourites side by side before making a final choice on the type of bottle you would like to proceed. Nothing is off the table when it comes to our clients, we go above and beyond for every order from a short order of 50 bottles to a mass production of 30,000 units with multiple delivery points, multiple designs or a mix of colours it really is limited only by your imagination.